Summer time. A cruising spot for gay men seeking nameless sexual encounters, is tucked away on the shores of a picturesque secluded lake in rural France. Franck is an attractive young male who falls in love with Michel, a striking, extremely potent but lethally dangerous man. Franck has witnessed this first hand, but his desire for Michel knows no bounds, this is a relationship he must have – at any cost. 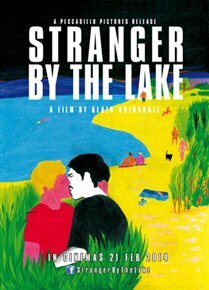 Stranger By The Lake is a tense thriller set against the secluded back drop of, what becomes inevitably, the most dangerous lake in France.